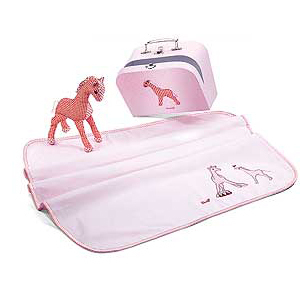 Steiff baby safe Little Circus Giraffe Gift Set. Made of the finest Red cotton for baby soft skin. Machine washable, Size 90cm (approx. 36 inches). 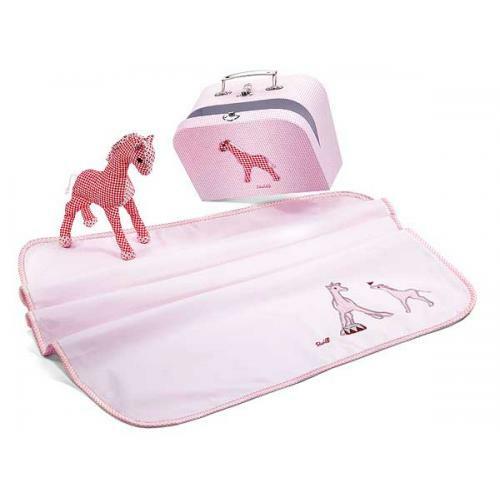 Set consists of quilted changing mat, Little circus Giraffe with suitcase and 90cm changing mat.